Chart by Vagaries as on Monday Night...Please put in your forecasts for next 3 days in comments..
1. Low pressure in the adjoining Gangetic WB and Odisha brings in sct rains to odisha and chattisgarh , and light rains in south WB . i dont think it will sustain for a long time . 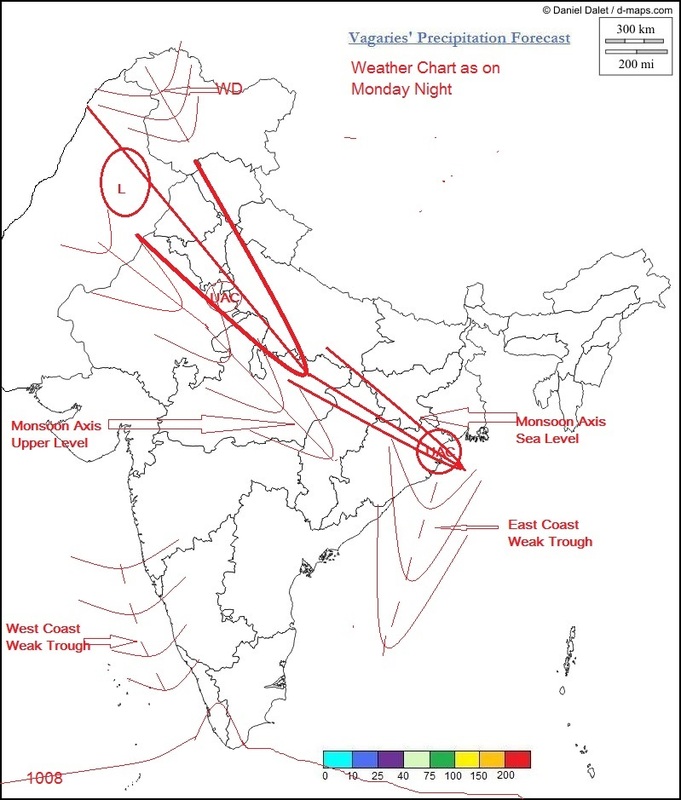 the combination of WD and monsoon axis would give a fruitful rains for north india as well as the 200 hpa jet stream would aid in for the monsoon as it will pull more moisture over north india , resulting in heavy rains over UK , parts of UP and delhi .